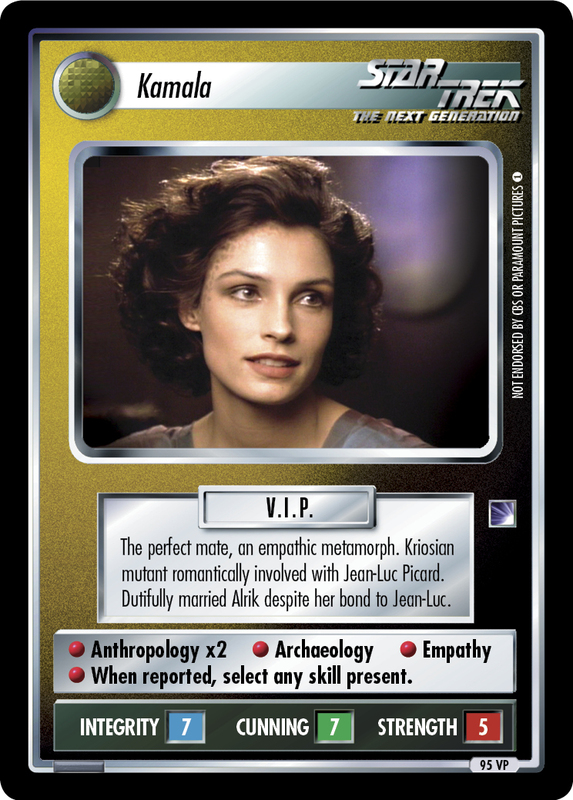 In anticipation of a prisoner exchange, a Dominion delegation boarded Empok Nor in 2374. They found that the Ferengi were already entrenched there. 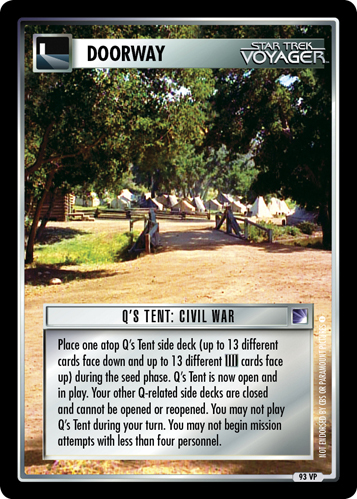 Opponent may download up to two male Ferengi to a facility at this location (or up to six if facility is Empok Nor). To get past requires 2 SECURITY and CUNNING>50. 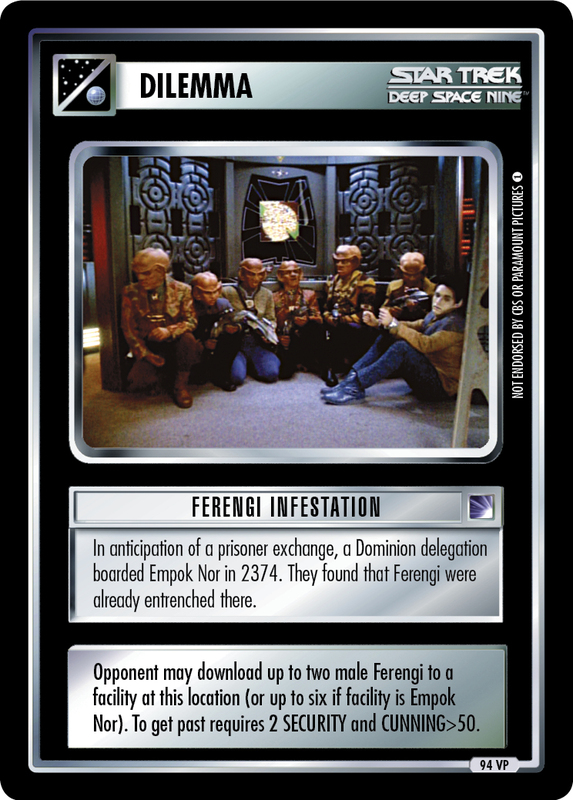 Image Source: Deep Space Nine: "The Magnificent Ferengi"